One of the most popular cycle trips for natives of the southern city of Krakow is to break away from the Gothic tops of the Wawel Cathedral and head westwards along the meanders of the Vistula River. Soon, the cookie-cutter blocks of old Soviet tenements fall away and the landscape gets taken over by undulating hills and farms, all before the verdant forests of Las Wolski can be seen tumbling down the ridges to the north. 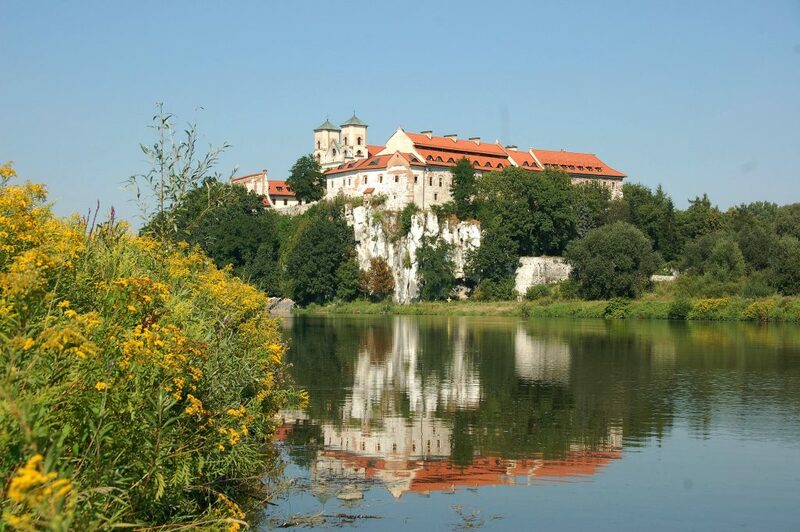 The piece de resistance is the beautiful Benedictine Abbey of Tyniec, which sits atop a rugged limestone bluff and comes complete with one panoramic coffee shop that’s hard to resist. 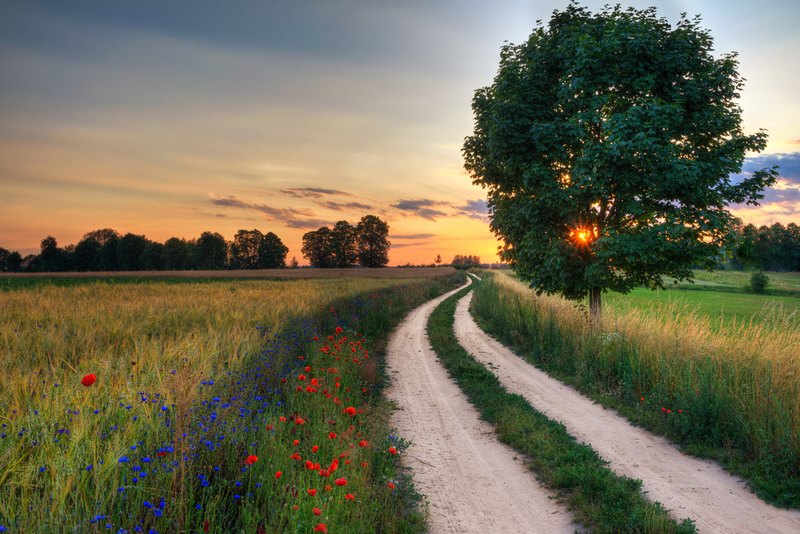 While many a traveller will make a beeline for the famously handsome Masurian Lake District to enjoy the endless waterways and campgrounds there, it’s worth remembering that the vistas of rolling fields and undulating hills, sparkling waters and woods, make for prime cycling territory too. The resort town of Gizycko is one of the best places from which to launch a two-wheeled odyssey of the photogenic region, thanks to the countless hiking and biking trails that weave out and around the lakes from the centre. Not one for the cyclists in search of flat rides and long-distances, the trail network of the Tatra Mountains is better known for its rugged highland terrain. That means thick wheels, mudguards and some strong calf muscles might be in order. The payoff? Well, that’s only adrenaline-pumping runs through the steep-sided valleys and the thick fir forests, broadside views of mighty Rysy peak (the highest in Poland), and even multi-day itineraries that cross over the border into the high peaks of Slovakia. Consider heading to the town of Zakopane, two hours south of Krakow – it’s the perfect base and even has some mountain biking hostels to offer. 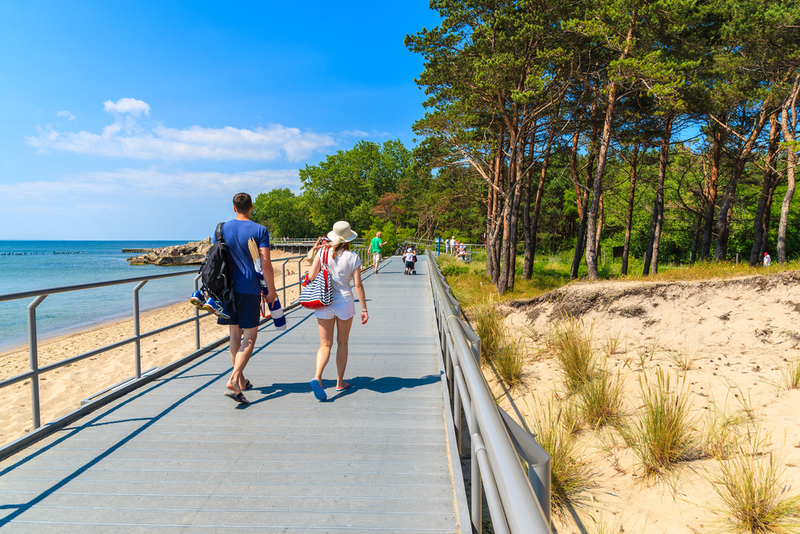 This long, finger-like spit of land that juts out into the Baltic Sea from the northern coast of Poland is covered in one winding hiking and biking path. Many cyclers will opt to catch the ferry to the far tip of the headland and make their way back into Pomerania via the beach side path. Along the way, you’ll pass powdery sands and the peaks and troughs of countless dunes, all while the fresh, salty air rolls in from the ocean. For lunch, there’s nothing better than a pit-stop in one of the charming fishing towns – Kuźnica or Jurata are both great choices. Although the most famous part of the Odra is the speckling of islets that forms the historic heart of medieval Wroclaw, perhaps the most beautiful section of the river belongs to the more bucolic side of Lower Silesia. This can be visited on two wheels, weaving away from the city and to the more rustic towns of Jawor and Jelenia Gora. The route follows the historic amber trading roads of the middle ages, and finishes in the beautiful rises of the Sudety Mountains, just on the border with the Czech Republic.